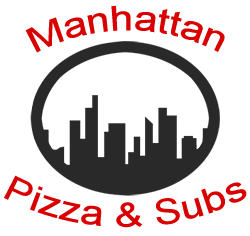 Online ordering menu for Manhattan Pizza & Subs. Welcome to Manhattan Pizza & Subs in Greensboro, North Carolina. We serve pizza, calzones, and pasta. Our menu also features Gryos, Kebabs, and Falafel Platters. We're located by The University of North Carolina at Greensboro and Weatherspoon Art Museum. Order online for carryout or delivery!